According to the MIAMI Association of REALTORS and the local Multiple Listing Service systems, the Miami-Dade County residential real estate market continues to perform well in the first quarter after strong demand but caused limited supply especially in the lower priced areas. During the first quarter, the median sales value of condos in Miami-Dade County was $162,000. This was an increase of 24.6 percent year-over-year and a 4.5 percent increase from the previous quarter. For single-family homes, the report showed a 17.5 percent increase, causing a current median sales price of $205,650. A year-over-year analysis shows that the average sales price for condominiums and single-family homes rose by 20.2 percent to $307,934 and 14.8 percent to $364,991, respectively. The national median sales price for single-family homes was $176,000 in the first quarter. This was an 11.3 percent increase over the first quarter of last year, according to the National Association of Realtors. For condos, 10.4 percent increase to $172,400 was revealed. Statewide, the price for single-family homes increased to $135,000, a 13.4 percent rise, according to Florida Realtors Industry Data and Analysis department alongside local Realtor boards and associations. Florida experienced an 18.4 percent increase in the median sales price for condominiums compared to the numbers from the same quarter of 2012 at $116,000. Year-over-year analysis showed a five-percent decrease in the total housing supply of Miami-Dade County. The active listings totaled 13,067 during the first quarter. Accounting for the current values, the inventory reflects 5.9 months of supply for condominiums and 5.1 months for single-family homes. Single-family homes listed under $200,000 experienced the greatest decrease in percentage in terms of inventory, a 38.8 percent drop compared to levels from the previous years. The inventory of single-family homes listed at $600,000 or greater rose by 38.7 percent. Properties listed between $50,000 and $149,999 saw the greatest dip of as much as 43.6 percent in inventory. In contrast, homes listed at $1 million or more saw the greatest inventory increase by as much as 41.5 percent. 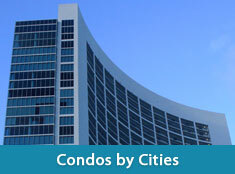 The inventory of condominiums dropped by 33 percent for units listed under $200,000. A 31 percent increase was revealed for condominiums listed for $600,000 or more. A 70.8 percent decrease was experienced for the inventory of condominiums listed at $50,000 or less. This is opposed to the 44 percent increase for properties in the $400,000 to $599,999 price range. 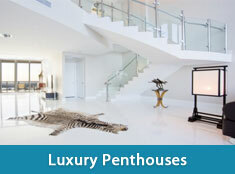 Despite the decreasing inventory, sales of Miami residential properties continue to grow. In the first quarter, sales of existing single-family homes increase by 10 percent compared to last year. For condominiums, an increase of 2 percent in the first quarter was revealed. Much of the sales were completed using cash. 65 percent of the closed deals were all cash during the first quarter, compared to 66 percent last year. 47.9 percent of the cash sales were single-family homes while 76.9 percent were condominiums. As much as 90 percent of all the sales were from foreign buyers, reflecting Miami’s attractiveness to foreign buyers.